As well as fire safety equipment, Fire Safety Store stocks a wide range of health and safety equipment especially for the workplace. 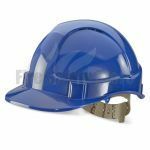 As you can see below we have a selection of protective helmets and hats ideal for the construction industry. Our range of lightweight headwear conforms to safety regulations but also features sweatbands and ventilation for your comfort. We also have different colours available to highlight different positions within your team. If you have questions about our products or any other enquiries then our customer service team would be more than happy to help.